Often called “The Most Beautiful Woman in Film,” Hedy Lamarr’s beauty and screen presence made her one of the most popular actresses of her day. 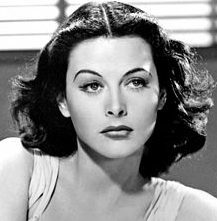 For more about Hedy’ Lamarr’s invention of frequency hopping and the history of Wi-Fi, read here and here. Hedy Lamarr was inducted into the Wi-Fi NOW Hall of Fame in May 2018.